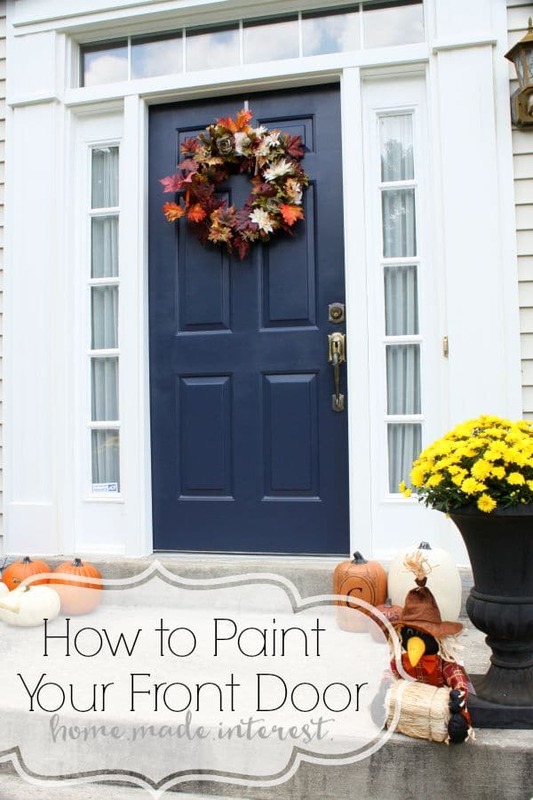 A Simple Fall House Update - How to Paint an Exterior Door - Home. Made. Interest. 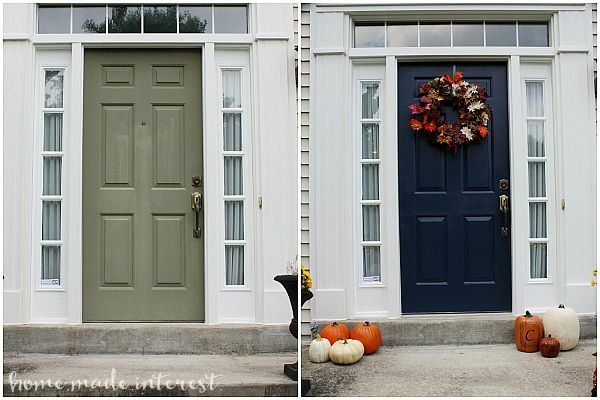 We’ve got a tutorial on How to Paint an Exterior Door and give the front of your home a new, fresh, look! 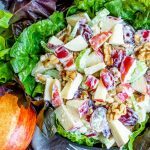 I love wreaths, but in the year and a half we have been sharing projects here on the blog we have only done 2. Why? Because neither Melinda or I have a front door that we like for pictures. 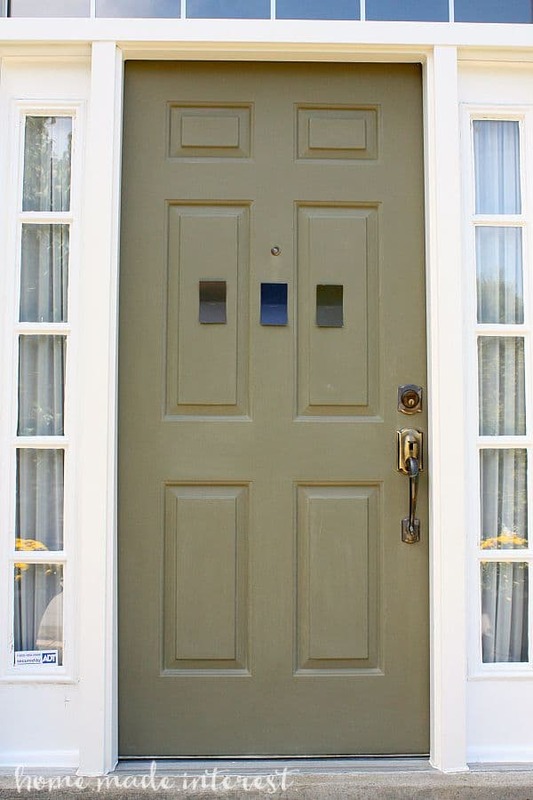 #bloggerproblems My front door has a screen door on it, which I love, but it is really hard to take a good picture. Melinda’s door, well it just needed some help. It was not a great shade of green to begin with and the sun had faded it over the years. 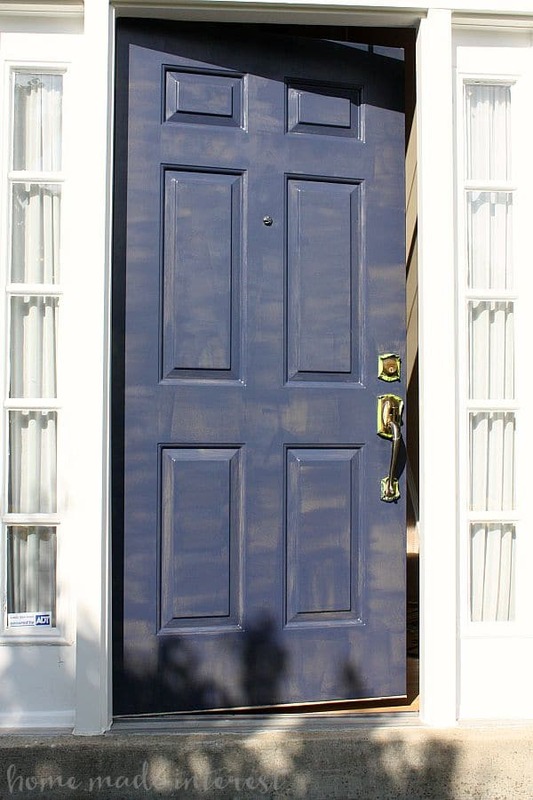 When Behr contacted us about their BEHR MARQUEE® Exterior Paint & Primer I knew it was time to give Melinda’s door a little refresh! Melinda had the hardest job. She had to pick the paint color. Seriously, I’d rather paint all day than have the responsibility of picking the right color. I’m Miss Indecisive. BEHR MARQUEE Exterior Paint & Primer is available exclusively at The Home Depot so she went there and grabbed a few samples. Behr has a large color selection. The choice wasn’t easy! She took the samples home and taped them to the front door so she could look at them during different times of the day to see how the light changed the color. She even posted the colors on our Facebook page. The results were overwhelmingly in favor of the middle color, Secret Society. 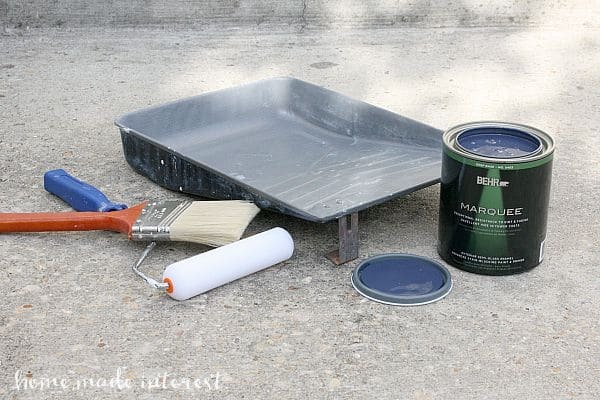 She bought a quart of BEHR MARQUEE Exterior Paint & Primer in semi-gloss enamel and we had plenty. 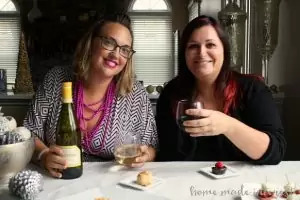 Now, I’m the DIY girl in this friendship. Melinda is super crafty, and can cook like a pro, but spending the day painting the front door is not her idea of a good time. So I convinced her to prep it the day before and I told her I would paint it for her. Melinda has a steel front door so to get it ready for me she wiped the door down with mineral spirits. Then she sanded it with a fine grit sandpaper. We weren’t trying to remove a coat of paint, this was just to rough up the old paint to help the new paint stick. When the sanding was done she washed the door with soapy water and rinsed it thoroughly. Then it dried overnight. The next morning it was my turn. 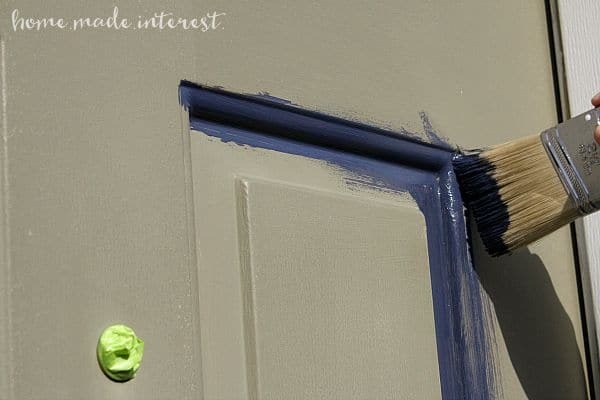 The trick to painting the door without a bunch of brush strokes showing is to do several thin coats of paint. First I cut in with a brush. I started with the brush you see in the picture but I wound up switching to a 1 inch brush and it was much easier to get into the corners. Then I did a thin coat on all of the flat surfaces with the roller. 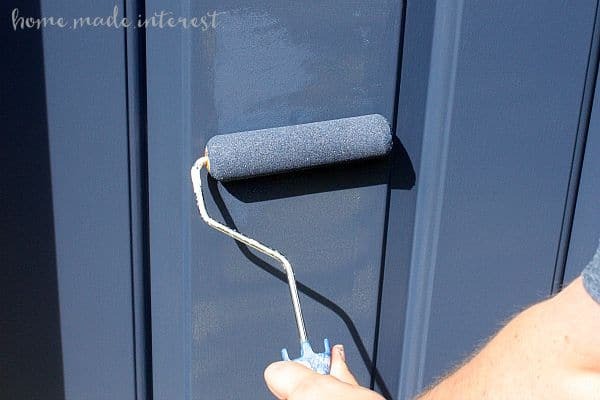 This was my first time using BEHR MARQUEE Exterior Paint & Primer and I was really impressed with how evenly it coated the door and how smoothly it went on. This is how it looked after the first coat. Pretty good for a thin coat! I did 4 coats in total and I was really happy with the results. Since the coats were so thin they dried really quickly. They were usually dry to the touch by the time I finished putting them on, but I still gave them an hour in between just to be sure. 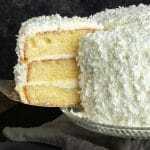 Here is a before and after. What a difference! I love the color Melinda chose. The blue looks slightly different as the sun moves throughout the day. 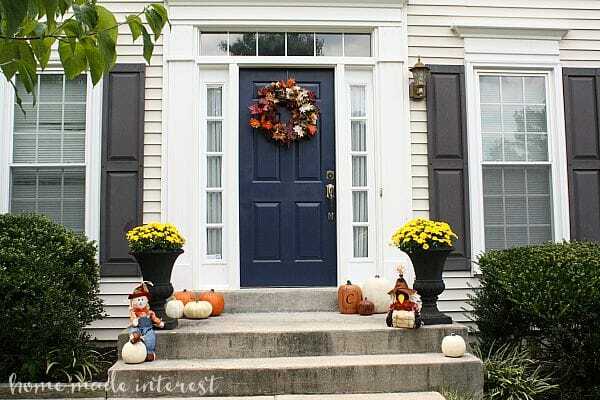 It is a rich blue that goes really well with her dark brown shutters and light taupe siding. Just look at how good that wreath looks on it! Now there is nothing holding us back. We’re gonna be wreath-making fools! It was a simple update that really changed the whole look of the front of her house and it only took one afternoon of work. The rewards definitely outweigh the effort and I’m so glad we finally had a chance to do it. I love giving things a new look with a fresh coat of paint. Next up I’m going to try BEHR MARQUEE Interior Matte paint and primer.